The show will be broadcasted on Australian channel SBS, as well as on Twitter and Facebook for international viewers. It will commence at 8:30pm AEDT / 10:30am CET and conclude at approximately 11pm / 1pm. Winner of The Voice Australia in 2016, Alfie Arcuri has remained relatively quiet since his victory on the popular talent show. However, he is returning with his heartfelt ballad To Myself. The song is fairly simple, yet its impact is felt through Alfie’s delivery. It clearly relates to Arcuri’s life story, and it is sung with a clear passion. This is likely to be emphasised in the live performance on Saturday. For many voters, they are going to connect with the artist and the message of the song. Although it lacks some ‘punch’, it is the lyrics and the emotion that will give this entry the best chance of success. Aydan Calafiore is following up on his success as a finalist in The Voice Australia 2018 by competing in Australia Decides with his entry Dust. The song is very modern, slick and radio friendly, with an enjoyable melody. Both the fans and jury should appreciate the simplicity yet complexity of the entry. However, the vocals and stage performance will need to be exceptional, as the song does lack a crescendo. It may not fit the mould of a typical Eurovision entry, but it is undoubtedly Aydan’s style of music, and therefore it is likely to be performed well and with confidence. Young voters are most likely to be the demographic that connects with this entry. Drag queen Courtney Act brings an element of fun to Australia Decides with the song Fight For Love. Played by Shane Gilberto Jenek, Act first came to prominence in Australian Idol 2003 (the same year that Guy Sebastian won). However as a drag character, Courtney Act is better known for appearances on RuPaul’s Drag Race and Celebrity Big Brother UK. The song itself is upbeat and a very typical party tune. Some pitfalls are that it is quite repetitive and the studio track seems to rely heavily on auto tune. Due to the artist’s popularity, the televote is expected to be high, but the jury may score the entry poorly. Electric Fields are an electro-pop duo and a fan-favourite for Saturday’s competition. 2000 and Whatever is the only entry in the Australian national selection to feature Indigenous Australian language. Pitjantjatjara Yankunytjatjara is a language of the Anangu people (where vocalist Zaachariaha Fielding comes from). The song also features many more strong points, including a fresh electronic sound, wacky lyrics and unconventional melodic structure. This entry will stand out on the night as contemporary and relevant, yet reflective of Australia’s traditional cultures. The only question surrounding 2000 and Whatever is the live performance, which will need to be executed smoothly as the song has the potential to be messy. Formerly part of the popular group Killing Heidi, Ella Hooper is taking on Eurovision as a soloist with her song Data Dust. The song harks back to the 90/00s indie-rock vibe that Hooper was best known for. Although it has been described as dated, it is fun and will be an enjoyable, energetic addition to the night. A notable aspect of the entry is its lyrics, which focus on the modern concern of cyber security. Although this addition is bizarre, it gives it another point of difference. Love or hate it, it is a great entry to add to the diversity of the inaugural Australia Decides. An experienced and classically trained vocalist, Kate Miller-Heidke will certainly bring something different to Australia Decides with her song Zero Gravity. Its message relates to experiences around mental health, and combines genres of alternative, electronic and opera. Vocally, this song is extremely challenging. She is therefore conducting interviews with the media one week earlier to save her voice, rather than in the days beforehand. If we witness a strong vocal performance from Miller-Heidke on Saturday night, there is no doubt that the Australian audience and jury will be impressed. This is a unique and potentially polarising entry, but definitely something to watch out for – a serious contender. At 16 years old, Leea Nanos is the youngest competitor in Australia Decides. She was selected as ‘wildcard entry’ with the delegation ultimately selecting her to sing her original song titled Set Me Free. Although she is relatively new to the music industry, don’t expect Leea to simply make up the numbers – she is in with a strong chance to represent Australia at Eurovision 2019. Her song blends elements of pop and alternative and is written extremely well. Set Me Free is an instant earworm, and should appeal to both the jury and the Australian public. With a few years of experience under her belt, this could be the next step for Leea in her rise to prominence in the Australian music scene. Since winning Australia’s Got Talent in 2009, Mark Vincent has continued to display his incredible vocal ability as a tenor during live shows in Australia. His song is titled This Is Not The End, and was partly inspired after Vincent watched Il Volo compete for Italy at Eurovision 2015. The entry is a fusion of pop and opera (also know as ‘popera’), which has proven to lead to mixed results at Eurovision. The live performance will be critical to the success of this song, due to the nature of the song. With a strong vocal performance, This Is Not The End will likely score very well with the jury, who ultimately make up 50% of the vote. This entry is a dark horse in the race to represent Australia in Tel Aviv. Brisbane based indie-pop band Sheppard are arguably the most well known act in Australia’s national final, which will not only bring extra viewers but televotes too. Their song On My Way is in their own distinctive style, and will be easily recognisable to an Australian audience. According to bookmakers, this entry is the favourite to win Australia Decides. With a predicted high number of televotes due to their popularity, combined with a strong, likeable song, it’s easy to see why Sheppard are favourites. We can never be too sure though – a mediocre live performance could change it all. Another former member of a musical duo, Tania Doko rose to fame as a part of Bachelor Girl, best known for their hit Buses and Trains. Her Eurovision entry titled Piece of Me focuses on the power of human connection. This song also marks Doko’s return to performing in Australia, having lived in Sweden for ten years. Piece of Me is another radio friendly entry, and therefore will need to be executed very well on stage in order to stand out and convince the audience to vote for the song. However, we can definitely expect a professional performance from an experienced Tania Doko. 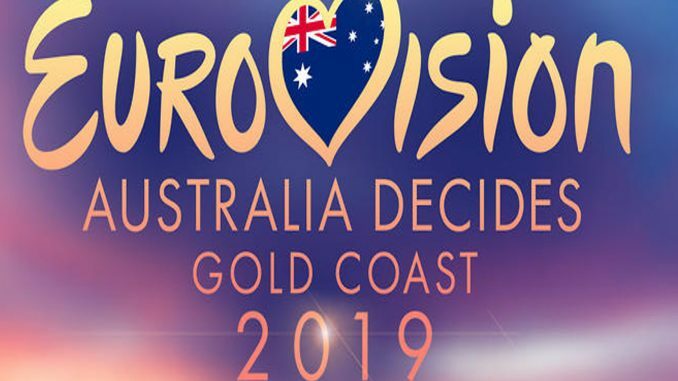 Who do you think is the favourite to represent Australia at Eurovision 2019? Leave a comment below and let us know! Electric Fields! Maybe also because of this interview with you.😉 But no, mostly because of the outstanding song and its meaning. All I want for newyear is 2000 and white ver!